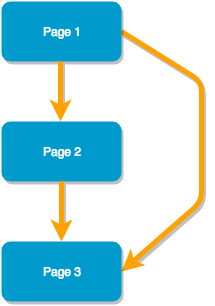 Elucidat sees pages as a Linear sequence. Elucidat will allow you to link to pages that are outside of the normal linear sequence of pages. I can I jump directly to ‘Page 3’ using a link. 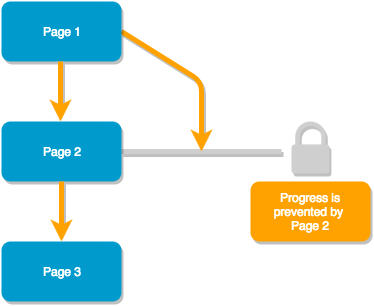 …if a page is set to ‘Prevent progress until complete’ in the ‘Page settings’ menu, or the course is locked down using this method then progress can be blocked. Please note that if you have a locked page before a chapter in your Project, the locking for that page will not be applied. 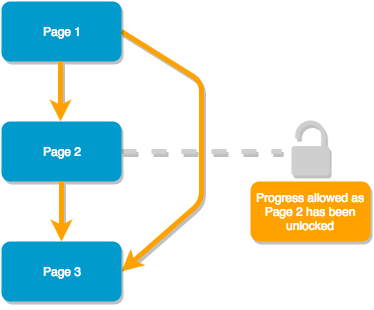 Pages that are set as the start of chapter can always be skipped to by learners regardless of how locking has been set up in the module.